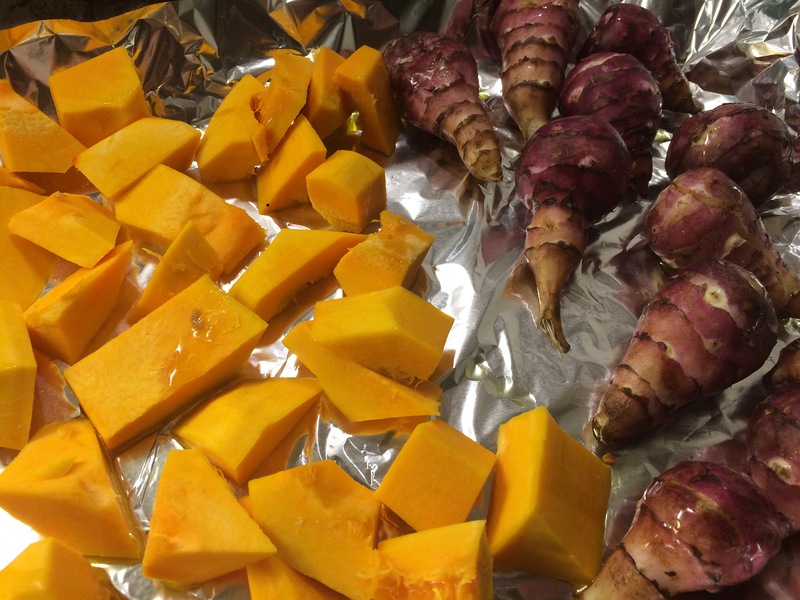 This weeks Squash and Jerusalem Artichoke are going into roast for an hour. They’ll be added to Hannah’s salad for lunch tomorrow. Try adding (unpeeled garlic), red onion and some rosemary and thyme for a gorgeous roasted veg meal!